Sometimes these “then and now” columns get frustrating. 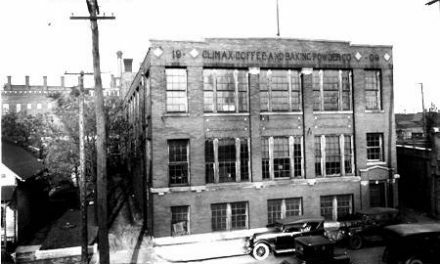 When I discover a great old photograph of an unknown building, I check out the location on old maps and in aerial photos, then search the address on current sites such as Google Maps and too often find an empty lot or an ugly pole building. Sigh. So for my mental health I’m going to focus the next few weeks on existing buildings with happy endings or great potential, such as the neglected but wonderful Ritz Theatre. 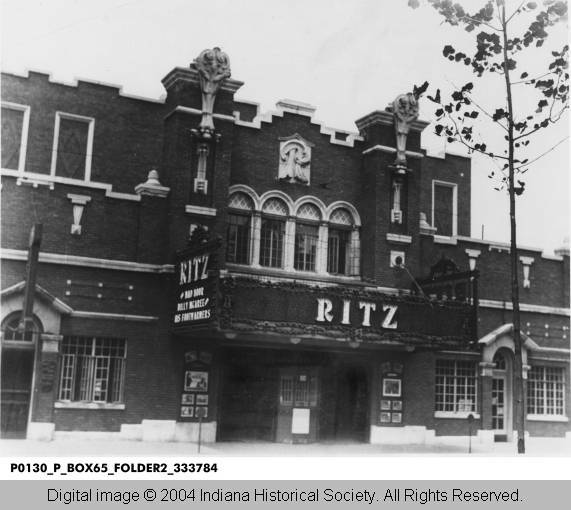 According to cinematreasures.org, the Ritz opened on February 22, 1927 with seating for 1,400. Just on the cusp of talking movies, the theater was equipped with a two-manual Geneva organ. 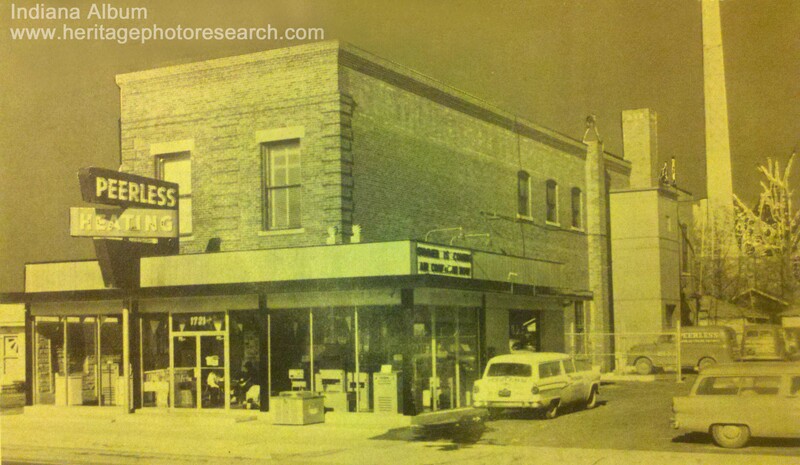 After years of success as a neighborhood movie theater, it became known as the Northside Theatre in August of 1958 and had a short-lived stint as a burlesque site in the 1960s before complaints led the managers and strippers to court. In June 1970 the theater was remodeled. All of the seats were removed to make way for a rock concert venue called Middle Earth. The popular hang-out featured some big names such as Richie Havens, Frank Zappa, and Savoy Brown. The name was changed back to the Ritz Theatre in January 1972, but the concerts were unsuccessful and the Ritz closed in late 1972. Thanks for this post. I used to live at an apartment building near Shortridge, and I always wondered about this and the other closed-up buildings at 34th and Illinois. Dan Wakefield spoke highly of that corner in “Going All The Way.” I think one of the 1950s-era hangouts there he mentioned was a jazz club called the Hi-Tone or something like that. It’s been a while. I could stand to read that book all over again! Next to this theater sat a tiny motel until a few years ago. I so regret not taking a picture at dusk as i drove by it back in 1995. The light was magic in the dilapidated, abandoned entrance. As a teenager in the 50s, I used to (for pay) take younger neighborhood children — via bus and a walk from Central to Illinois along 34th Street — to the Ritz children’s matinees. Saw many classics. I remember going to this Theater every Saturday morning when I was a little tyke to watch the movies and the cereals that ran weekly. What childhood memories this brings back. Thanks, Joan…yet another time you’ve answered a question i’ve had before i asked it. Thanks also to the commenters. In the 45 degree birds-eye aerial photo on Google Maps, you can see the gaping holes in the roof. The interior can’t be in good shape, sadly. I have wondered who owned this bldg myself, did you get a response? 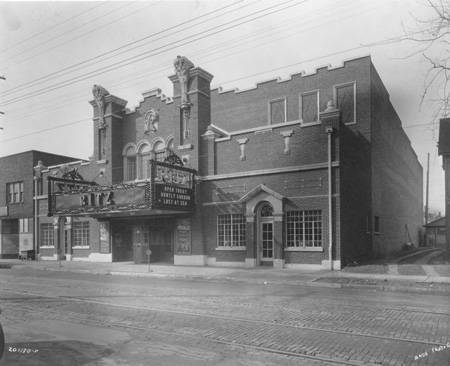 Love these articles on Indianapolis’ former finer neighborhood movire theaters! 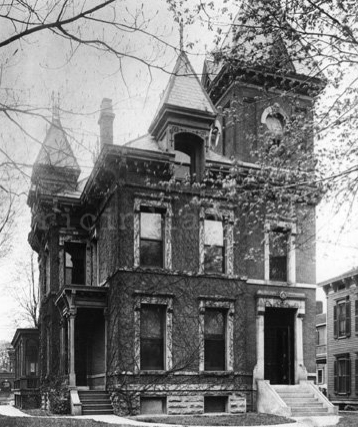 In my case, they were the Tuxedo, Irving, Emerson, Rivoli, and one on Station Street in Brightwood, but can’t remember the name…oh, yes, a later one (as in built later): the Arlington. If by “the one of my youth” you mean a theatre, that would have been the Uptown Theatre. Sadly, it (as well as the library) are gone. Here’s a link to a photo of the Uptown, taken in 1929: http://images.indianahistory.org/cdm/singleitem/collection/dc012/id/14069/rec/3 . The jazz club at 34th and Illinois was the Topper. Renowned Indiana University jazz educator David Baker used to play there frequently in the late 1950s. My mother father and baby sister at the time 1945 lived across the street from the Ritz and Topper before they moved north were I was born. Dad worked at the Turner barber shop just around the corner on the SE corner of 34th and Illinois the fellow that owned the Topper,s name was Gene as I recall last name escapes me but he and my father knew each other well I had the opportunity in 1972 to meet him as myself and 3 partners were the individuals that opened Middleearth. I also believe Wes Montgumery was an act Geno brought in at times. I do treasure the conversations I had with Geno over a brewsky or two. Would be so great, Al, if you could put a page up or just post a pic somewhere or video on youtube showing some posters from middle earth, or list of dates and acts that were there. My friends and I forget some of them we saw there and need our old noggins re-awakened to this info! Thanks! You guys had a truly great place for music, there in the 70’s! 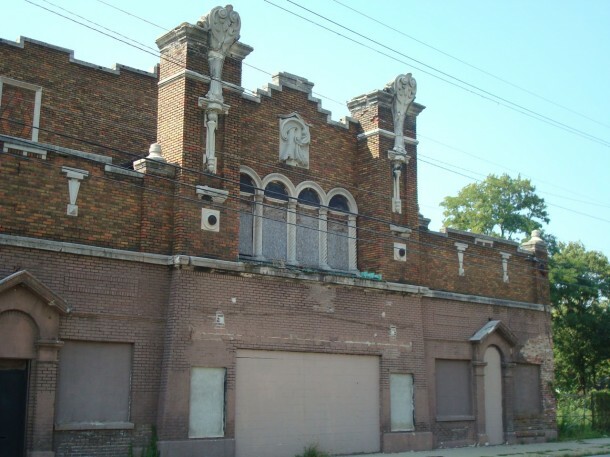 Hello, I am curious to know the current status of the Ritz Theater, has any progress been made on rehabilitating it. I can not find anything more current about this theater since this article, which is two years old. I lived directly across from the Ritz for most of my early childhood (1970-1974), where my home’s windows were partially filled with the place. I recall the marquee still being there and the main doors not yet boarded up in that time. The southern extension once had a roller skating rink during the summer of 1974. At the end of this structure at the extreme south once was a restaurant, named “Doyle’s.” He made, I am told, a spectacular hamburger. Since his passing, the last activity in the structure But, aside from the notes here, very very little has happened to the building except decay. The problem in renovation and usage, in my opinion, involves a higher-crime area (just a block south, the influence of property purchases by the Children’s Museum hold this slightly at bay) and a building that may be just too far gone. But every time I drive by my old home, I look at the Ritz and wonder what it might be, if anything. Many structures around and near it have been destroyed (my childhood home itself is now condemned). It may be only a matter of time before someone feels that the Ritz should be destroyed. But right now, it’s in a state of limbo. Seems removing a building that occupies a half-block would be too costly in a neighborhood not known for many sights and is generally drive-through territory. And it’s too damaged for anyone except a mad scientist to make it a lair of any kind to justify removing it for other reasons. Thank you for the story and photos. This was the home of Middleearth, an amazing rock concert hall in the late 60’s/early 70’s where you could see fantastic rock shows like Savoy Brown, SRC, Frank Zappa and the Mothers, Alice Cooper, Yes, the Maudes, Coven, and many other rock acts in a small, intimate setting. My friends and myself had many amazing experience here! Jim it”s nice to see someone remembers Middlearth I was one of the 4 partners in the venture and I probably have the only poster and bumper left framed and hanging on my wall those were great times. LOL, just saw your post Al. My friends and I went regularly to Middle Earth from Crawfordsville. It was amazing! We saw Zappa and the Mothers, Savoy Brown, Yes, the Maudes, Alice Cooper, and many other concerts there! It was one of the most memorable times of my life. Could you post a pic of your remaining poster on a site and leave a link to it here? WOW! The Ritz is a gorgeous place! Indpls does not realize what it has! The old buildings are treasures in need of care and life. What would it take to make this stable and structurally safe? — refurbishing is not the hard part. This could be a community jewel housing so much and more than just a theatre! It could be a north side market, craft hub, museum, delicatessen, café, workout center, elder project, and so much more, and a theatre once again! history is who we are . This was built to last, and it has. North Indy needs this– community investment of heart and hope. This is a grand building. North Indy needs it. There should be many ways to fund it. Part of my heart is here on these streets — 3900 block of N. Delaware. Someone cut down my childhood English walnut trees, but there is one left in the back yard, the one with the Fergusons’ tree house. Space is never JUST ABOUT MONEY. It also defines who we are. 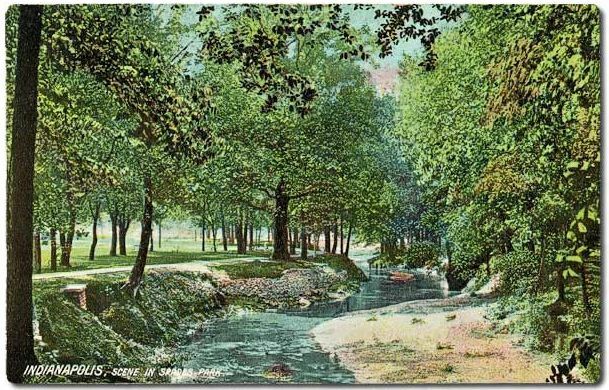 North Indy was never homogenously glamorous, but it was always glorious. I just inherited this building and the ones connected to it. I’m looking to restore the theater and the rest of the building. Does anyone have a idea of where and how to get funding to help out? Hi I am trying to reach the owner to see if he wants to work with me on getting funding. I hate to see this building be razed for lack of funds. what has happened in the nation lately I would like to see the building be used for the youth and senior citizens to have a theater building to learn in and outs of the whole entertainment business. please pass this on to him. Hi! I would like to talk to new owner of the Ritz. I’m interested in the building once known as the Topper. I have a facility near by in which I do Jazz/Blues periodically. The topper was once a wonderful Jazz Spot. Hi what would you like to talk about? To Ritz owner, I might possibly be interested as an investor in renovation. my group is very interested in this property, due to the fact of how close it is to children museums and butler university. it would be great for children and seniors and performing artists to find and hon their skills and passions in the performing fields. please contact me. It’s been empty since the late 70s. It was Middle Earth and then The Famous Door, a drag club as late as 1979. Building collapse today at 34th and Illinois had me in fear it was this structure that was destroyed. Fortunately that is not the case. The lost building was in the middle of the non-descript row to the South. Sure would like to get a look at the inside of this building. — Successful urban areas adapted to the automobile and provide parking and lighting. History has proven the auto isn’t some passing fad. It provides the “freedom” that no other form of transportation ever has, however it isn’t for those to young or to old to drive. Buy the worn out stuff behind the theater and put in parking. Downtown Ollie’s is a big success. Xoxo. If anyone has any lists of who appeared at Middle Earth and on what dates, that would be so great! If you would just post a link to photos of them or a text document or anything like that… Just for nostalgia for my friends and myself; as we had such great times at Middle Earth!